Limited Quantity of 2 bars. Evening Shade Farms is a 3rd generation Women’s owned enterprise that learned the art of Soap-Smithing through family traditions on the family farm in Arkansas over 60 years ago. We make Old Fashioned LYE Soap in a similar cold process fashion. Our unscented Lye Soap contains no synthetic ingredients which irritate the skin and retains the glycerine that helps moisturize your skin. Good for sensitive allergy prone skin. Ingredients: Locally sourced laridum (lard) oil, distilled water, sodium hydroxide. Recommended for sensitive allergy prone skin. Use daily as a moisturizing face and body bar and may also be used as a shampoo, laundry soap, relieve insect bites & poison ivy, and try it as catfish bait. Lye soap not only moisturizes your skin, due to the glycerine in it, but may also help treat various types of skin conditions such as acne. 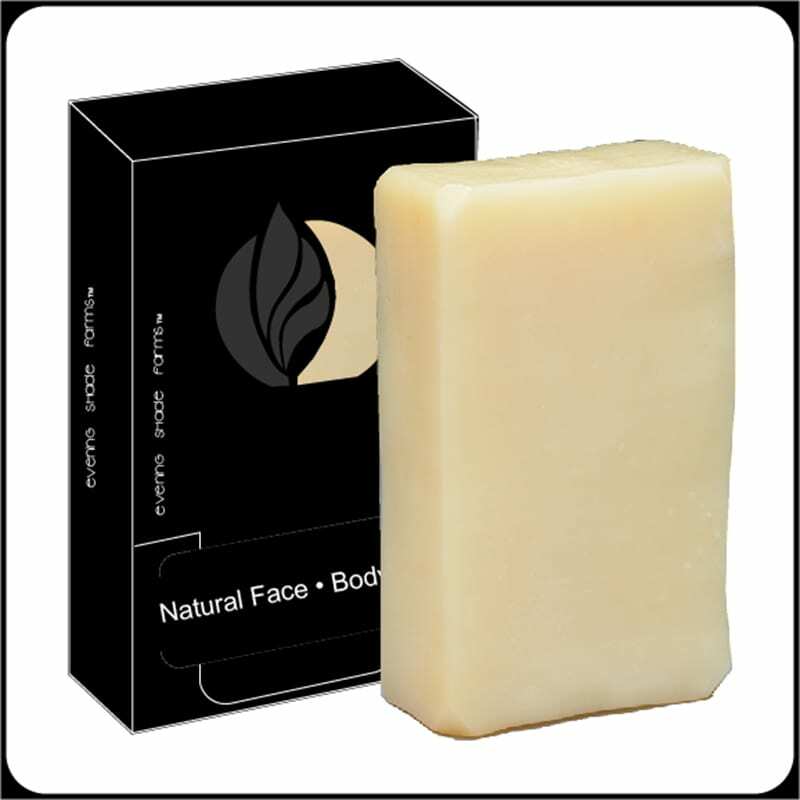 The soothing and moisturizing properties of lye soap may slow down the formation of fine lines, age spots, and wrinkles, especially when used frequently. Due to the emollient properties of the soap, it may be used by people with psoriasis and eczema to help relieve irritation, itching, and other symptoms of the conditions. The soap may also be used to help in the treatment of Dandruff and Seborrheic Dermatitis.